Applicants must have at least two years of either teaching experience or activity within international organizations and institutions. Scholarships are designed for both junior and senior members of Universities in Developing Countries or members of major research centers and international organizations or institutions with a specific interest in the field of development studies. 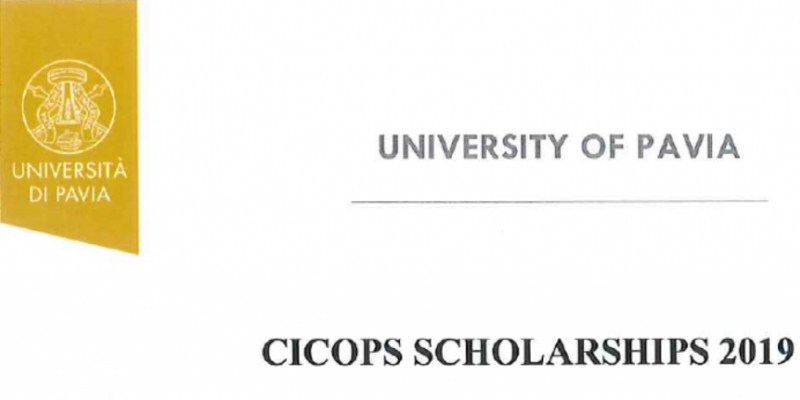 CICOPS scholarships are reserved for research collaboration in the short term in order to encourage the mobility of researchers from developing countries. Applicants enrolled in a Doctoral or Postgraduate Course at an Italian University are not eligible to apply. The scholarship includes travel (economy class2), food and accommodation expenses, health insurance policy and a contribution of 150.00 EUR (gross) per week. The hosting Department will guarantee access to all the necessary facilities for study and research activities (libraries, computer facilities, etc. ).